In January this year, we had reported that Infosys has boosted their start-up funds to $500 million or Rs 3000 crore, which was earlier $100 million (Rs 600 crore). Now, as per reports coming in from Bangalore, Vishal Sikka, CEO of Infosys has earmarked one third of this venture funds for startups from India, Israel and USA, along with investments in around 12-15 venture capital funds from all over the world. Last month, Infosys made their first investment in a startup, when they poured $15 million from their startup fund into DreamWorks Animation, a company based in USA. In India, DreamWorks have opened a new company, of which Infosys is the only investor as of now. Earlier, there were talks that Infosys may enter the animation market with a partnership with an established player. This investment of $15 million (Rs 90 crore) was a result of that only. Last year in May, Infosys had created a new subsidiary: Edgeverve Systems, which will solely focus on automation technology. Earlier this year, they bought Panaya, which is a SaaS based quality automation firm. Interestingly, this funds of Rs 750 crore would be used to fund startups from India, as well as Israel and USA, and their first investment anyways went for a US company. And automation can be a major sector where they can invest. Wipro: They have created a warchest of $100 million for investing in startups, and last year in February, they invested $19 million in two startups from USA. Here is a list of all funding and investments done in Indian startups in 2015. An overview of all investments in Indian startups last year, which totaled $1.3 billion. Here are 10 start-up incubation centers in India, which we shared last year. 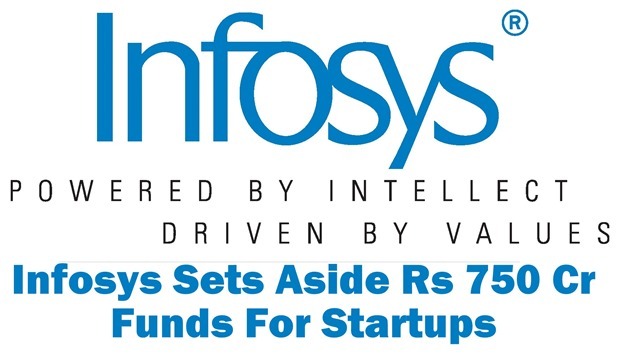 "Infosys Sets Aside Rs 750 Cr Funds For Startups From India, Israel & USA", 5 out of 5 based on 1 ratings.